AXIS P1435-E and AXIS P1435-LE offer high image quality with full HDTV 1080p resolution at frame rates up to 60 fps, and feature Axis’ Lightfinder technology as well as Wide Dynamic Range (WDR) – Forensic Capture, allowing them to master even the most complex and challenging light conditions. The new cameras are ideal for video surveillance of city squares, railway platforms, cargo loading bays, airport terminals and retail showrooms with large window fronts. Axis Communications, the market leader in network video, introduces two new bullet-style HDTV network cameras for day and night 24/7 video surveillance. The AXIS P1435-E and AXIS P1435-LE feature Axis’ Zipstream technology that lowers bandwidth and storage requirements by an average 50% or more compared to standard H.264 compression. Lightfinder technology enables the AXIS P1435-E and AXIS P1435-LE to capture color video even in very low-light conditions. The cameras also feature Wide Dynamic Range (WDR) – Forensic Capture technology allowing them to handle complex scenes with high contrasts for example when sunlight creates both very bright zones as well as dark shadow areas. AXIS P1435-E and AXIS P1435-LE feature a compact low-weight casing and integrated bracket for wall or ceiling mount. To further simplify installation, a wide range of mounting accessories are available. AXIS P1435-E and AXIS P1435-LE offer easy installation with remote zoom and focus for fine-tuning the picture from a computer as opposed to at the camera itself. Furthermore, a pixel counter assures that the required pixel resolution is met. Axis’ Corridor Format allows for full use of the 16:9 aspect ratio when monitoring narrow view areas such as staircases, hallways, aisles or tunnels. P-Iris control ensures optimal depth of field, resolution, image contrast and clarity. The AXIS P1435-E and AXIS P1435-LE offer an I/O port that can be used for simple notification to an alarm panel or control of a relay or similar. Power over Ethernet supplies power to the cameras via the network, which eliminates the need for power cables and reduces installation costs. The AXIS P1435-LE additionally features Axis’ OptimizedIR, a power-efficient IR LED technology, automatically illuminating any scene taking place in complete darkness and is perfect for discovering objects at a range of up to 30 meters (100 ft). AXIS P1435-E and AXIS P1435-LE are supported by the industry’s largest base of video management software through the Axis Application Development Partner (ADP) Program, and AXIS Camera Station. 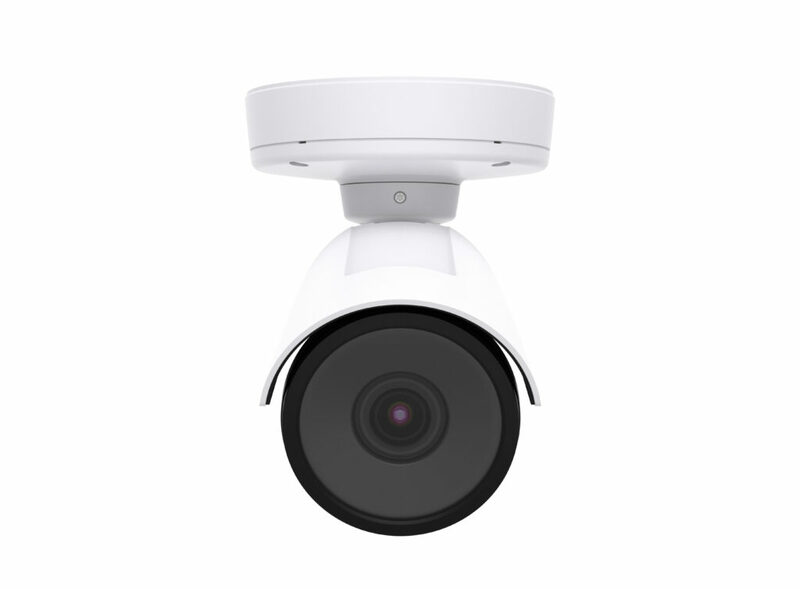 The cameras also include support for AXIS Camera Application Platform and ONVIF for easy camera system integration and for application developers to provide the camera with intelligent capabilities. AXIS P1435-E and AXIS P1435-LE are available through Axis distribution channels. by admin	11. December 2015 0 Com.